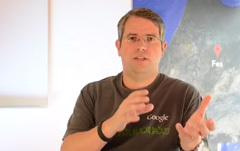 Matt Cutts, Google's face of search for webmasters, posted a future telling video yesterday on when and how Google may rely less on links in the future for ranking pages. Matt Cutts said that while links have "many years left in them," Google is looking for ways to rely less on them in the future. How? Google says that natural languages and author expert ranking plays a role in that. He said that if they can understand an expert wrote a specific article then they can use that as a way to rank better content. Matt told us they are working on that for a while now. In short, they said they want to provide a page that matches the expectation needs of an expert searcher. Now, links play a role in that, but more importantly, content is a major role in that. So understanding if the content is written by an expert is important. The hard part, Matt said, is not knowing who the experts are. Can they look at a document and figure out if an expert wrote it or not? That is where understanding actual language, natural language, conversational search, comes into play. If Google can understand better what someone is saying, then it gets easier. Matt said, "as we get better at understanding who wrote something and what the real meaning of that content is, inevitably over time, there will be little less emphasis on links." But for the next few years, links are where it is at. So, SEOs, get working! Forum discussion at Twitter, Google Webmaster Help & Black Hat World.